Where is the card on trello for this, I couldn’t find it? There isn’t actually a trello card for this. I’ll add this to out feature request list to be considered for a future version of the add-on. So is it something that is being considered? I just wanted to follow/vote on it. 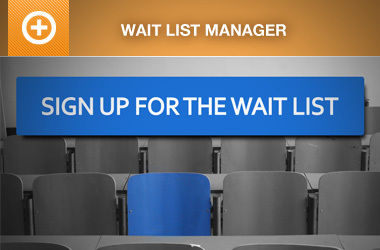 Note it is unlikely that feature will be introduced to the waitlist add-on ‘soon’ and it will also increase the number of queries used to generate the ticket selector as each DateTime will need additional checks, meaning it may put a higher strain on the server. The support post ‘https://eventespresso.com/topic/wait-list-sign-up-button-wont-appear-in-all-open’ is closed to new replies.